FREE DOWNLOAD Easy crossword for your younger students. Clues based on the Staff and Treble/Bass Clef. Please follow/like. New sheets uploaded everyday. 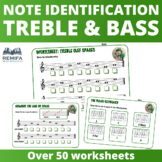 Match the Notes to their counts worksheet. Match the Notes to their counts worksheet. This download contains two versions of the work sheet. Names of the notes are in British or American. Enjoy and Happy teaching. Please follow as new sheets uploaded everyday!. 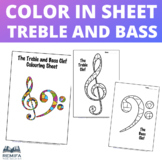 Printable musical bookmarks to give your students. Various designs. --> See preview for the full list of designs. Follow for more great sheets uploaded every day!Thanks for your support.Happy Teaching!!! 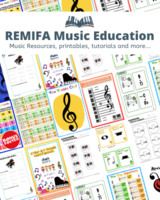 FREE Piano Fingers 3 page activity pack. Christmas Pieces Challenge for any instrument.